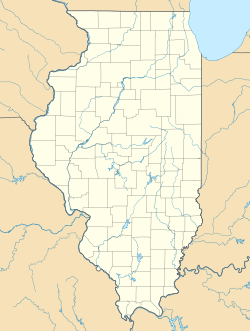 Fort Sheridan in IL is a residential neighborhood spread among Lake Forest, Highwood, and Highland Park in Lake County, Illinois, United States. It was originally established as Fort Sheridan, a United States Army Post named after Civil War Cavalry General Philip Sheridan, to honor his services to Chicago. Post Commanders' Quarters, Building 9 in the Fort Sheridan Historic District. They were the most elaborate houses on the base. Like most of Fort Sheridan, it has been converted to a private residence. When the main fort was officially closed by the Army on 3 May 1993, the majority of the property was sold by the Department of Defense to commercial land developers. Most of the original housing structures were then refurbished and resold as a residential community. Other buildings were given to cultural organizations like Midwest Young Artists Conservatory, the largest youth music program in the Midwest. Approximately 90 acres of the southern end of the original post were retained by the Army; there the Army now operates the Sheridan Reserve Center complex. This includes the Great Lakes Training Division, 84th Training Command (an Army Reserve Brigadier General command) as well as numerous Colonel and Lieutenant Colonel commands. Additionally, newly refurbished housing is part of the military enclave and is used for active duty and active guard/reserve personnel and families stationed at Ft. Sheridan and Great Lakes Navy Training Center. The Fort Sheridan cemetery, established in 1889, is still an ongoing military burial site owned by the Federal Government. Retired armed forces members may be buried there. In 1984 parts of Fort Sheridan were designated a National Historic Landmark District by the National Park Service. The National Park Service states that the site "possesses national significance in commemorating the history of the United States of America." The historic district includes 230 acres of land and buildings bounded by the Hutchinson and Bartlett Ravines and the shore of Lake Michigan. There are 94 buildings in the district. The buildings include: officers' quarters, barracks, stables, a drill hall, water tower, and many other institutional buildings. The 54-acre parade ground was preserved as an open space as well. A forest preserve, operated by Lake County Forest Preserves, now sits on 250 acres of the former military fort. Since the 1980s the preserve had been working on acquiring land from the U.S. Army. In 1997, the Army began conveyance of the northern section of the former base. The third and final section was obtained in 2001. The Preserve has roughly 4.5 miles of trail for hiking, 3.7 miles of trail for cross-country skiing, and 1.3 miles of trail for bicycling. The Preserve also covers roughly .75 miles of shoreline. Throughout the trails are educational exhibits and viewing stations. ^ "The Town of Fort Sheridan, IL - Homepage". Fortsheridan.com. Retrieved 2014-05-08. ^ "Fort Sheridan Post Cemetery –". Homepage. ^ "Fort Sheridan". Globalseeker.com. Retrieved 2014-05-08. ^ "Fort Sheridan Forest Preserve, Lake Forest - Lake County Forest Preserves". "Town of Fort Sheridan Master Homeowners Association". Homepage. This page was last edited on 30 October 2018, at 22:07 (UTC).